Polish Pickup for January 2018 is underway, and the theme is Crystals & Gemstones. Each month the Polish Pickup is a pop up shop that offers a variety of indie polishes and products on a theme. This time the shop is open until January 8 at 11:59PM. 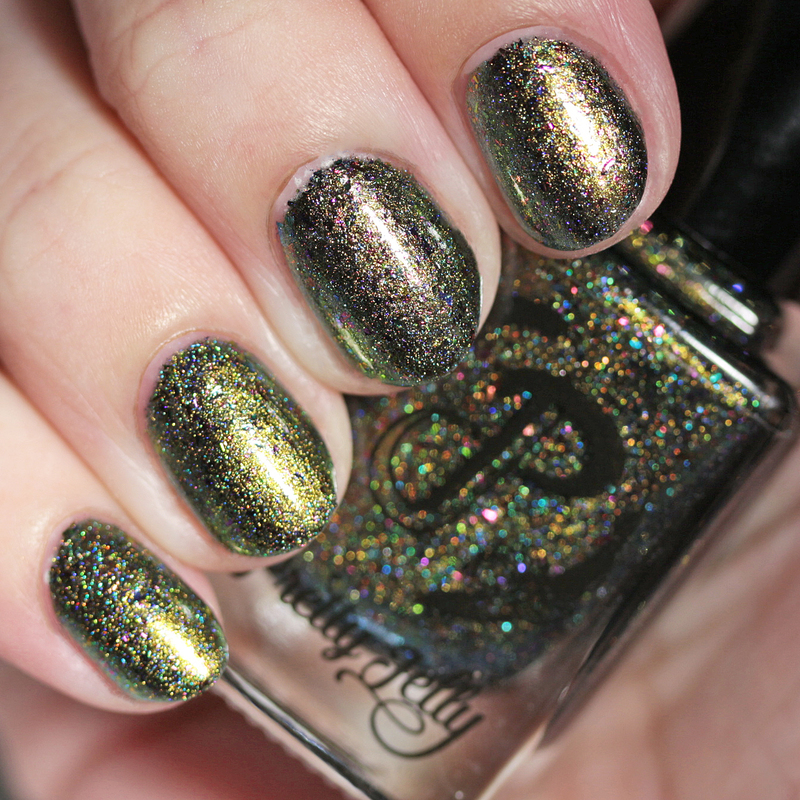 Pretty Jelly Nail Polish is offering an amazing green with ALL the special effects. Let's have a look! 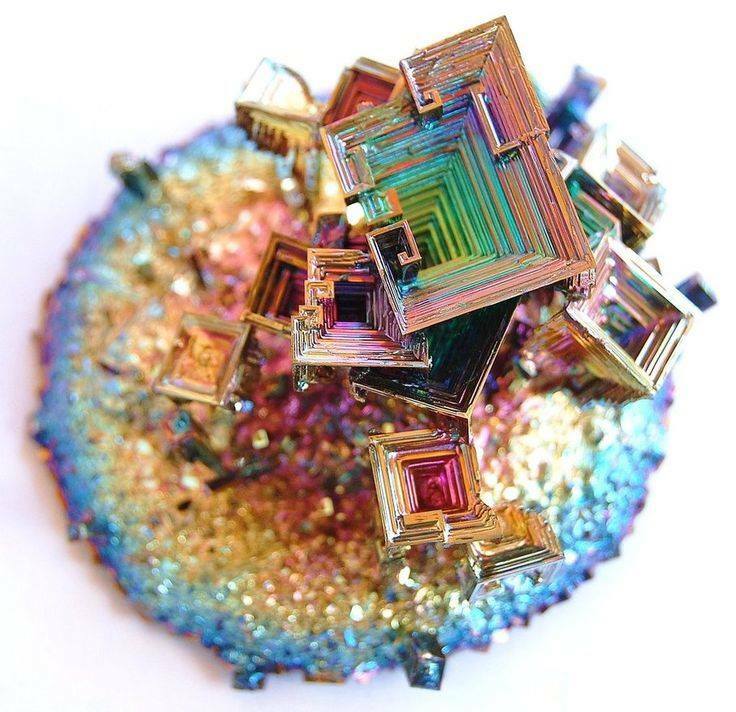 Liz's inspiration this month are bismuth crystals. Wow! look at the rainbow and cool shapes on that specimen. Bismuth is a metal element with atomic weight 83. Its crystals form an iridescent oxide tarnish that causes light interference, so it actually works in exactly the same way as our favorite multichrome polish pigments! Pretty Jelly Nail Polish Stairway to Heaven is a moss-green-to-blue-green duochrome shimmer base with scattered holo and a rainbow of multichrome flakes. It covers in two thin coats and has a nice, even formula. Medium-to-fast dry time. 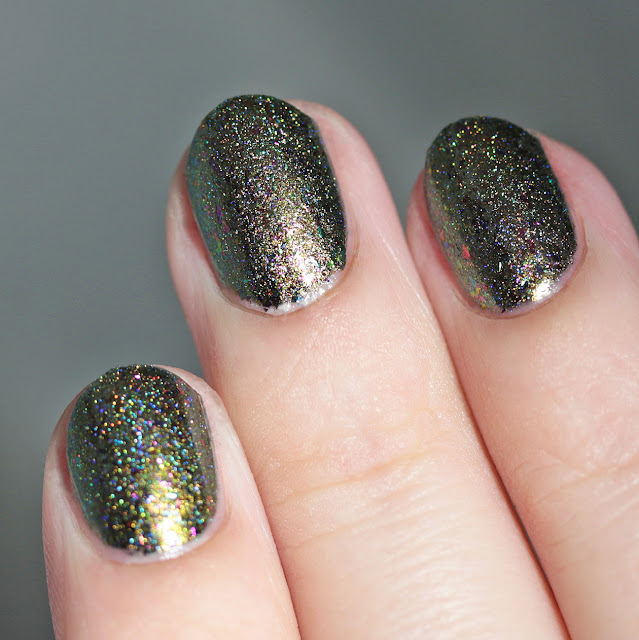 It has a wee bit of flake texture but smooths out perfectly with a single layer of top coat. 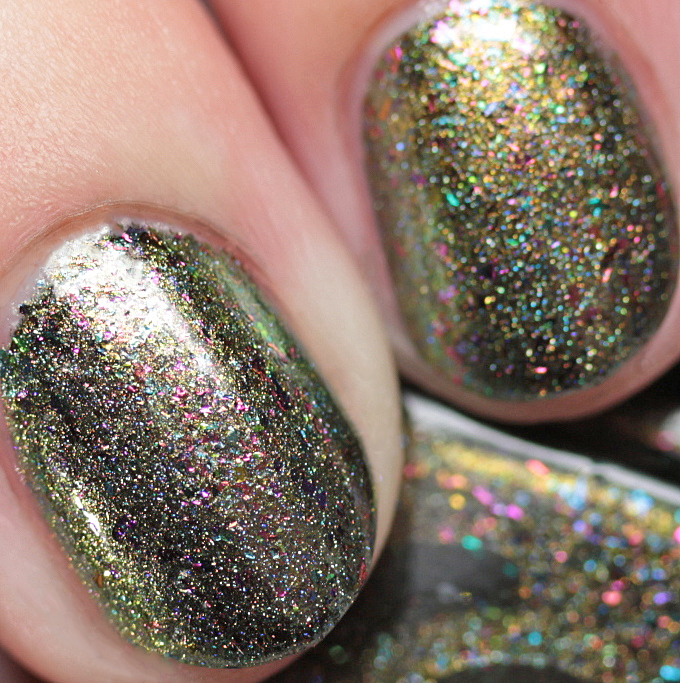 Between the color shift and holo, this polish has you covered for special effects in any light condition. 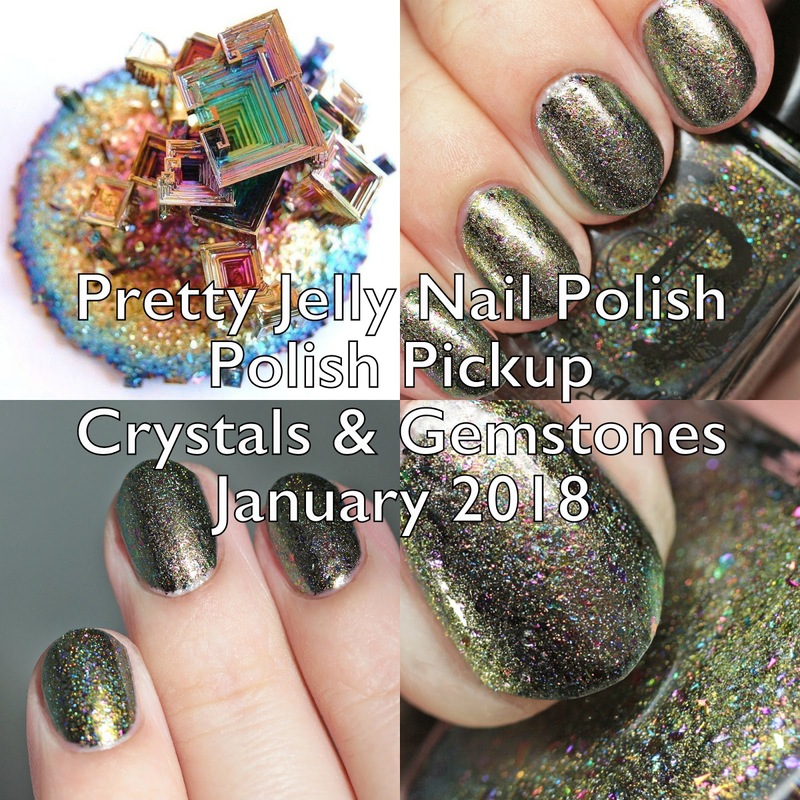 Pretty Jelly Nail Polish Stairway to Heaven is available until January 8 at 11:59PM EST from the Polish Pickup. Don't forget, shipping in the US is a low $3 flat rate and after the pre-order closes, the organizers combine and refund shipping! So don't hesitate to go back for more. I did twice already, haha. Have you indulged yet?